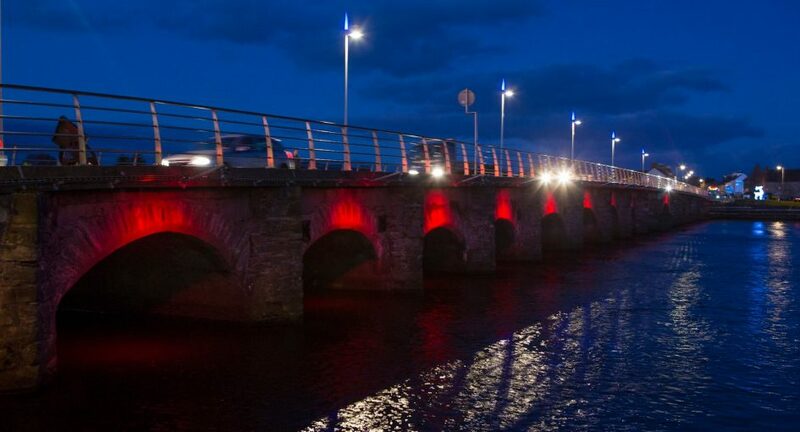 As part of the Halloween Spook-Tacular Festival in Arklow the 19 arches bridge and Main street will be closed to traffic from 6pm to 10pm this evening. The road will be closed from the Bridgewater Centre roundabout to the Wexford Road roundabout. Surprise Scary Movie for Kids aged between 5 and 12 years. Main Street Parade with the Arklow Pipe Band, Inbhear Mor Marchers and the Arklow Majorette Baton Twirlers. Meeting Point: The Coral Leisure Centre Swimming Pool on Seaview Avenue. Time: 7pm, parade starting at 7.30 sharp. Michael Jackson’s Thriller Dance off. Location: Main Stage at Bank of Ireland.